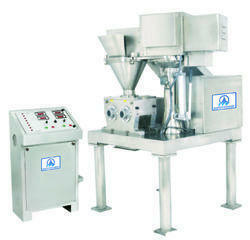 Pioneers in the industry, we offer roll compactor, roll compactor machine and mini roll compactor from India. We are engaged in offering a wide range of Roll Compactor. We follow International quality standards in our complete range of products. 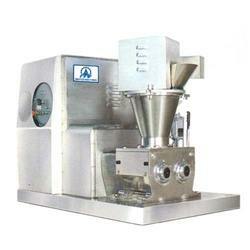 The offered compactor is manufactured utilizing superior quality raw material and latest technology. 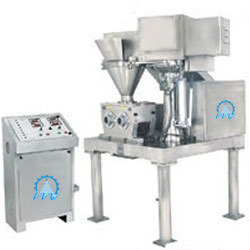 Mastech Machinery is the preferred name in the market that engages in proffering Roll Compactor Machine that is specifically designed and developed as per the industry standards. Vastly acknowledged for its longer operational life, noiseless operation and optimum roll speed & feed screw speed, the proffered batch is vastly desired. Roll compactors are provided in multiple specifications. Enriched with industrial experience, we are engaged in offering a wide range of Production Scale. Offered products that are offered by us are fabricated from the best quality material, which makes them highly reliable as well as durable. These are praised for their optimum quality and efficient performance. Mastech Machinery is the preferred name in the market that engages in proffering Roll Compactor that is specifically designed and developed as per the industry standards. 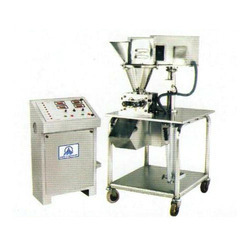 Vastly acknowledged for its longer operational life, noiseless operation and optimum roll speed & feed screw speed, the proffered batch is vastly desired. 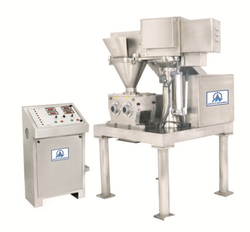 Roll compactors are provided in multiple specifications. Mastech Machinery is a renowned name in the field, which engages in proffering robustly constructed Mini Roll Compactor. Made available in numerous specifications, these compactors are manufactured using optimum quality raw materials procured from our trustworthy vendors of long term. Mini roll compactors are widely recognized for their ruggedness, consistent operation and minimum maintenance.